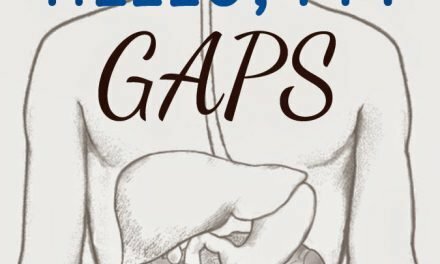 A couple months ago I left off my usual recipe-posting and wrote up an introduction to the GAPS Diet, which my family and I have been on since last November. 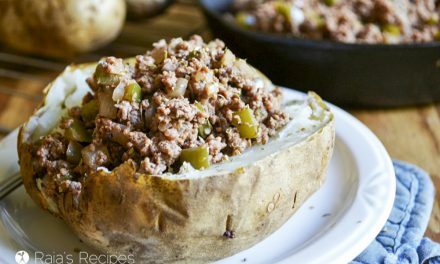 If you have no clue what the GAPS Diet is, let alone why anyone would want to go on it, head on over here and check it out. 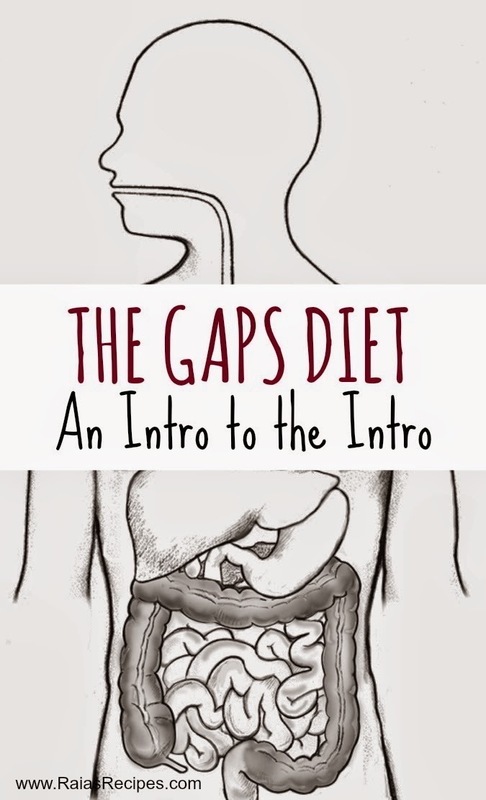 The GAPS Diet is split into two parts: the Intro Diet, and the Full Diet. Though the Intro generally comes first, there’s no hard, fast rule that you have to do the GAPS Diet that way. I’ve read plenty of stories of people who started on the Full Diet and slowly weaned themselves onto the Intro. It’s a personal thing, based on what you can handle, and how quickly you want your body to heal. What is this Intro Diet you speak of? 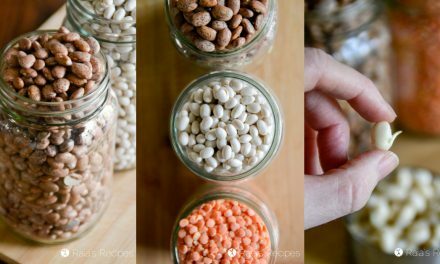 While the Full Diet is pretty much a paleo diet with the addition of navy beans and fermented dairy (think yogurt and sour cream), the Intro Diet comes in 6 stages. Its basic purpose is to starve out the bad bacteria that have been residing in your gut and then build up the good. For most people this can really only happen one way: fast from anything that contains hard-to-digest starches. Since starches feed the bad bacteria and yeast it’s pretty hard (dare I say, impossible?) to heal your gut while consuming them. Kidding! But it sure feels that way when you’re nixing all your easy, family favorite dinners, and your kids’ favorite snacks! For the first bit of the Intro Diet, all you can eat is boiled meat, bone broth, and non-fibrous veggies. Exciting, eh? The Intro Diet comes in 6 stages, the first of which is the fast/detox period. Depending on how your body handles this, you can stay on stage 1 for anywhere from a couple days to a month. It took my family about a week to be free and clear of any detox symptoms (such as lethargy, vomiting, diarrhea, etc… it’s not always that bad, but it ain’t pretty either!). After stage 1 you begin adding in the foods recommended by Dr. Natasha Campbell-McBride, waiting in between additions to see how you react. Each stage is stayed on until all your negative reactions alleviate. The most common reactions to newly introduced foods are diarrhea, constipation, tummy ache, ear ache, rashes, and headaches. The general rule for introducing new foods to your system is each night before bed, take a 1/2 teaspoon or so of whatever food you are wanting to introduce the next day, mash it up, and rub it into your wrist. Sleep on it, and if there’s no reaction in the morning, you’re free to try eating 1-2 teaspoons of said food. If you still don’t react, you can up your consumption daily until you’re eating normal portions. Since everyone progresses through the diet at their own personal rate, getting through the Intro Diet can take up to 6 months. It took my family about a month for all of us to get through it safely. My husband and I thought long and hard about it before plunging our family of six into the Intro Diet. We were already eating gluten and sugar-free, and I was dairy and egg-free as well. After months of prayer and research, finally jumped in. To say it was a shock for our systems is putting it mildly. By the end of the Intro, you’re eating enough variety to actually make a few regular meals, but the beginning can be very exhausting – especially when you’ve got kids you’re trying to convince to eat broth for the 300th time that week! Since progression through the Intro stages is personal – based on what each person can handle without reacting – making meals can be very frustrating! I'm thinking of starting GAPS for our family of six as well…gulp. I think I'm gong to start on the full diet until the end of school, as I have two in school and I can't control what they might eat there, and then go back to intro. It's rather overwhelming to even think of! I encourage you to take the time you have before you start and fill your freezer with bone broth – you go through so much of it on the intro diet, and depending on your detox symptoms, you might not feel like cooking that much! We have been on GAPS since August 1, 2010. Best decision we've ever made. Some of us made it through intro quite quickly, others did not. It's all such a journey! So good. We have done this and need to go back a bit. The broths give amazing healing. Now I'll use your simplified page to get us through the first couple of weeks. Thanks. It is definitely a journey, Andrea. I'm encouraged to see that y'all have lasted almost four years! I don't know how much longer we can afford to have our whole family on it, but I do know that I'll be on it for as long as I can be. It's helped me immensely! The first stage is quite a doozy, you're right! And yes, the probiotic juice is just the juice from the bottom of the sauerkraut jar! It's quite interesting, especially if you don't really like sauerkraut, which I don't. :p I keep telling myself it's medicine. Haha. Thanks for stopping by and pinning! Can't wait to read more updates. Currently, gluten-free, dairy-free, egg-free, and grain-free. Sugar is my weakness I'm about to cut out my honey and fruits for a couple of weeks and then try to reintroduce grains into my diet. Thanks for stopping by, Sonya! I understand how hard it is to give up sweets! I still crave them sometimes. I'm sure you can do it! I would encourage you to not forget the probiotics and bone broth though – your gut won't heal properly without them! Wow. After reading week 1 and 2, that looks so hard to do. It is bad enough that I am already limited in my food consumption. I understand your trepidation, Anna. Before I did the Intro Diet I was in the same place you are – I could eat around 10 things without reacting. But the combo of cutting out starchy carbs feeding the yeast and harmful bacteria, plus the probiotics and bone broth, helped to seal my gut. After only a month on the diet I was able to eat thing I hadn't been able to for YEARS!!! The Intro Diet IS hard to do. But the key is to think of it as a regeneration – like a seed that has to die and be buried to bring a plant to life, everything in your gut has to die in order for you to heal. 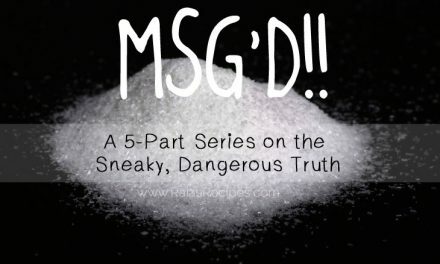 If you keep feeding the bad guys (and believe me, I had no idea I really was feeding them) they won't die and you'll be stuck with your allergies/intolerances. Starving them out, and then replenishing your intestines with good bacteria, will heal you! I would encourage you to think/pray about doing the diet. When you're already basically eating nothing anyway, what have you got to lose? One of my best friend's daughters has Kabuki Syndrome, and she has her on the GAPS diet. It's helped so much! I know it can be a lot of work, but I think it's super beneficial for some. A total lifestyle change. Good for you for sticking with it! Thanks, Tiffany! You're right, it is a total lifestyle change. I'm so glad to hear it's helping your friend's daughter – what a blessing! 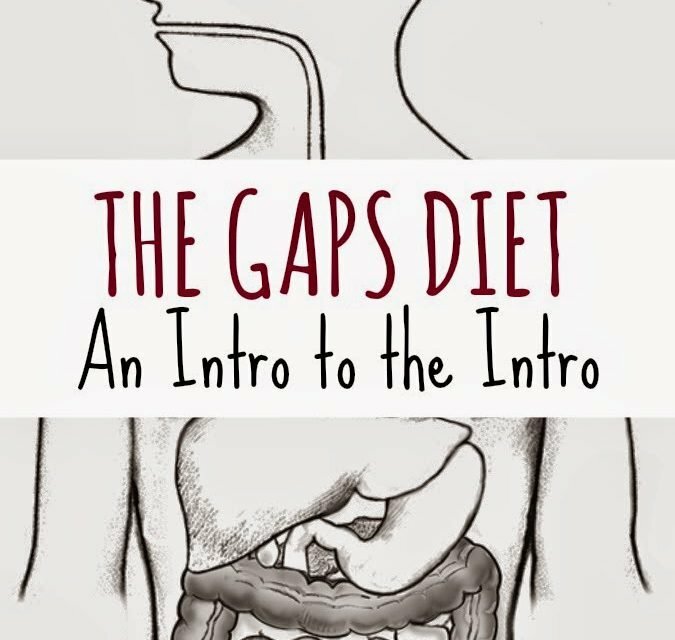 I have never heard of the GAPS diet. Sounds interesting. Seems like a huge change in lifestyle but I hope you all reap the benefits of healthy eating. We have been doing so much better since the diet, Jennifer! Thanks for stopping by! I have never heard of this diet, and it seems very interesting to learn how and what to eat. I am not much on dieting and that is because I tried a heart patient diet when I had my son. i prefer to eat more veggies and fruit during the day. You've broken GAPS down pretty clearly here! I had a few misunderstandings, apparently 🙂 Thanks for sharing on Mostly Homemade Mondays! Planning on starting Gaps. Trying to get all the info I can. Thanks. Sure, thing, Joy. Feel free to ask questions if you need and I’ll be glad to try and help! Hey Chaitanya, sorry to hear about your little one. I would suggest finding a kid-friendly probiotic, specifically one that is sweetener-free, and also feeding your child loads of veggie broth and fermented foods like sauerkraut, pickles, coconut yogurt (sweetener-free), etc. Make sure you do not feed your child any sugar, even fruits should be stayed away from until the yeast infection is cleared up. If you can’t get away from fruit, then use only green apples and cranberries or blueberries, since they have a lower sugar content. It would also be a good to try and keep him/her off grains and starches (even gluten-free ones) until the yeast is cleared. Hope that helps!